The Forza Horizon series has always been the ultimate expression of cars, music and freedom. It’s also incredibly social with its co-op and online features, which allow you to experience the Horizon Festival with your friends and the wider Forza community. 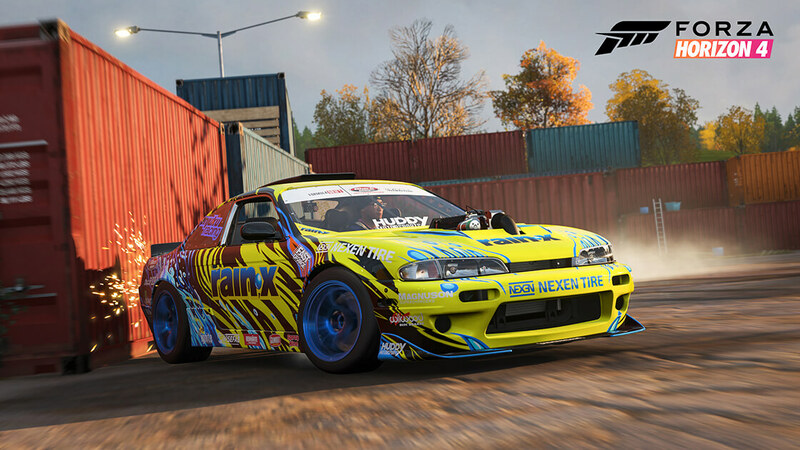 Whether you’re racing online or sharing paintjobs and tunes with others, the open-world racing series from Playground Games has always been a showcase of social driving. Forza Horizon 3 expanded on this concept with the introduction of a Drone mode, which allows you to capture films featuring your friends driving around the open-world using a drone. It’s quite simplistic, but it does get the job done. Combined with the replay tools present in the game, you can get some pretty fantastic results. However, we’d like to see Forza Horizon 4 double down on this even further by introducing a built-in Video Editor feature to the game, like the Rockstar Editor in Grand Theft Auto V and The Crew 2’s Live Video Editor. For the record, we'd love to see a similar feature make its way into Forza Motorsport 7. As Tom Matthews discusses in his video, which you should check out above, the introduction of a Video Editor in Forza Horizon 4 would allow for the most level of freedom when producing films within the game. The tools already present in the franchise can be somewhat limiting, but a full-fledged editor could result in some stunning cinematography in videos shared online. With Forza Horizon 4’s ever-changing seasons and its shared online experience, it makes sense that creators would want to highlight its open-world in the best light possible when showcasing the game in their videos. It also means that creators could create stunning films featuring their friends driving in their favourite supercars across beautiful, historic Britain. Obviously, we’re not expecting a Video Editor in Forza Horizon 4 at launch. The team at Playground Games are focused on getting the game wrapped up and finalized ahead of its October 2nd release date, but they’re also committed to making this the most supported Forza Horizon title yet. That means you can expect plenty of new content, features and improvements over the months and years ahead based on both the developer’s internal roadmap and fan-feedback. Let’s just hope a Video Editor is already on that roadmap – or will be in the future.